EasyOpenOffice is a set of classes and templates providing you an ability to use OpenOffice / LibreOffice from your Clarion applications. 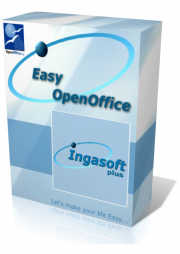 With EasyOpenOffice you can: export your data from Clarion programs into OpenOffice Calc and Writer, import data from OpenOffice Calc sheets, change fonts, print and save document, ... and do much more in the OpenOffice / LibreOffice! The number of the EasyOpenOffice features will be increased in the next releases. LibreOffice / OpenOffice.org ® not less than one of the builds of ver. 2.0 should be installed on the developer's and customer's computer.